Erie Yesterday has a 30-year record of promoting the study and preservation of public history in our community. 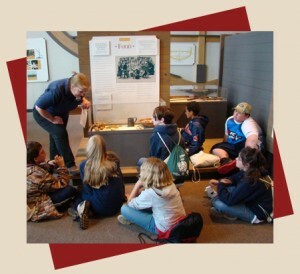 We believe that museums and historical societies are fundamental for a thriving community, as they enable the public to explore local history collections for inspiration, learning and enjoyment. And we know that by working together we can sustain these heritage and cultural resources for generations to come. Help us preserve our heritage by making a contribution to Erie Yesterday. Contributions come in many different shapes and sizes, and may include a donation of dollars, expertise, services and/or supplies. For additional information, or to discuss how you can contribute to Erie Yesterday, please email us. Financial donations can be mailed to Erie Yesterday, 356 West Sixth Street, Erie, PA 16507. We thank you for your consideration and generosity!